General TV Channel / Tele Tuya is a variety channel that broadcasts through the subscription television services of Venezuela. At the moment it emits its signal through what before was the signal of the now disappeared Venezuelan TVR. Since the middle of 2015, TVR began an alliance with the regional channel TeleAragua, from which it rebroadcast all its programming until February of 2016 that had been relaunched with own programming produced by TeleAragua, maintaining the sports transmissions together with the television channel Meridiano TV, but without resuming the programming of other regional broadcasters. 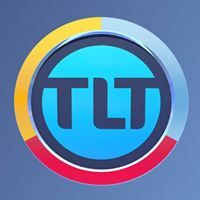 Shortly afterwards, the birth of TLT (La Tu Tuya) is announced and it begins a transitional stage that transforms it into this television network. This channel would be chaired by Esteban Trapiello, who is president of TeleAragua.